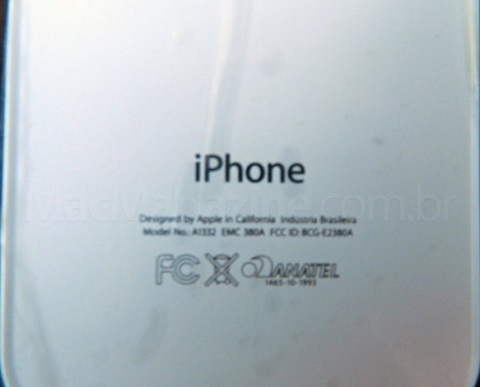 Apple already tried to make iPhone 4 models in the new Brazilian Foxconn plant, but we never seen any iPhone with “Designed by Apple in California, Made in Brazil” engraved into the back of a iPhone 4. Now thanks to the Brazilian website MacMagazine it looks like we have our first look of such a model in hands of the first customers. 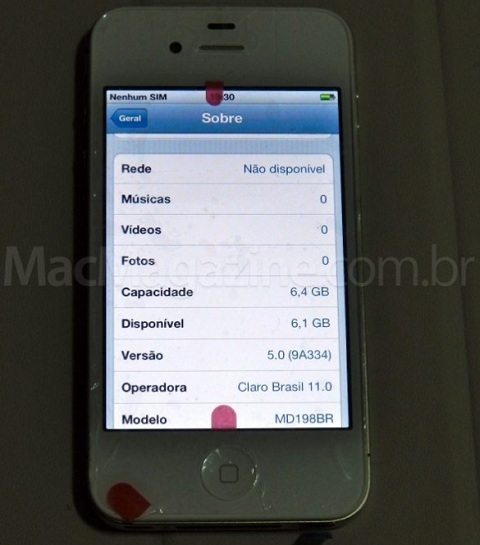 It is not confirmed but it says that a reader has gotten their hands on an 8GB white iPhone 4 with “Brazilian Industry” written on the back instead of “Made In China”. The model number labeling includes a “BR” for Brazil at the end of the scheme, which you can see in the picture below.